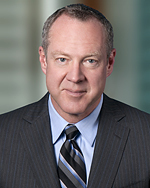 John Murphy focuses his practice on eminent domain, inverse condemnation and other complex real estate trials. He represents a wide variety of public agencies, corporations, and landowners. Mr. Murphy and his firm have earned its clients over $200 Million in eminent domain awards over the past five years. His firm has won arguably the highest condemnation awards in the State in each of the past four years. Its 2017 judgment against the County of San Bernardino totals $48 million. Best Lawyers in America, the nation’s oldest and most respected legal peer-review publication, honored Mr. Murphy in 2012 as its “Orange County Litigation – Real Estate Lawyer of The Year.” Mr. Murphy was also named one of the “Top 50 in Orange County” lawyers for 2012 by Southern California’s Super Lawyers magazine. Mr. Murphy has served as lead trial counsel in numerous significant, successful jury trials. He speaks regularly on eminent domain issues and his cases have garnered significant press coverage. He has been the subject of three Los Angeles Daily Journal profiles and has been featured on the cover of both Verdicts and Settlements and the Daily Journal. John also won one of the largest jury verdicts ($14.6 million) ever obtained in Marin County Superior Court. In 2006, Mr. Murphy was elected a Fellow of the American Bar Association. He has been consistently accorded an “AV-Preeminent” rating by Martindale Hubbell. In 2017, the State Bar of California’s Real Property Section awarded Mr. Murphy a seat on its executive committee. Alameda Corridor Transportation Authority (1998 – 2003). Mr. Murphy spoke on trial tactics in eminent domain at the American Law Institute – Continuing Legal Education (ALI-CLE) 34th Annual Eminent Domain and Land Valuation Litigation Conference in San Diego in 2017. He has also spoken at the January, 2006 23rd Annual ALI-ABA National Eminent Domain Conference in San Diego; the 2009, 26th ALI-ABA National Eminent Domain Conference in Miami, Florida; the 2012, 29th ALI-ABA Eminent Domain Conference in San Diego; and the 2015, 32nd Annual National Eminent Domain Conference in San Francisco. He serves as co-chairman of the annual CLE International Southern California seminar on eminent domain. He has spoken frequently at Appraisal Institute seminars, and authored an article for the Appraisal Journal. Over the past ten years, Mr. Murphy has spoken at over 15 International Right of Way Association seminars and programs. Most recently, he spoke at the IRWA’s 2009, 2010, 2011, 2012, 2013 and 2014 Annual International Education Conferences in Indianapolis, Calgary, Atlanta, Seattle, West Virginia, and Hartford, Connecticut. Mr. Murphy is the former president of Chapter 67 of the International Right of Way Association (2000) and former member of the Board of Directors of the Orange County Bar Foundation. He is a past President of the Warren J. Ferguson Chapter of the American Inns of Court and has served on the Board of Visitors of the Chapman University Law School. He is also a member of Lambda Alpha, and an affiliate member of the Appraisal Institute. Mr. Murphy received his J.D. from the University of Southern California, Gould School of Law in 1980; and his B.A., with honors, from the University of California, Riverside in 1976. Featured in the definitive legal directory, “Best Lawyers in America,” from 2006 – 2017 in two categories: Eminent Domain and Condemnation Law; and Real Estate Law. Featured in Southern California Super Lawyers from 2006 – 2017 for Land Use/Zoning, Real Estate Litigation. Featured in Los Angeles magazine from 2007 – 2017 as Southern California “Super Lawyer” for Real Estate Law. Featured in Orange Coast Magazine “Top Attorneys In Orange County” from 2006 – 2017 for Land Use/Zoning. Selected for the “Best Lawyers in America” annual guide to Real Estate Law, published in the June 2007 – 2017 issues of Corporate Counsel magazine. Elected a Fellow of the American Bar Association in 2006. Martindale Hubbell® AV “Pre-eminent” Rating. California Department of Public Works et al. v. Steel Structures, Inc. Represented landowner facing condemnation of 10% of its manufacturing facility for the California High Speed Rail Project. The Agency offered $222,000. Mr. Murphy won his client $3.3 million. Nyenhuis Family Investments LLC v. County of San Bernardino et al. Represented the Nyenhuis family, long-time dairy farmers in Chino, against the County of San Bernardino and its Department of Airports. The family sought compensation for disruption caused by the County’s Chino Hills Airport. The County initially denied any liability or obligation. It offered nothing. Ultimately, Mr. Murphy won for the Nyenhuis family an arbitration award of $48 million, including a litigation expense award of nearly $500,000. Represented the landowner in an eminent domain action brought by the City of Lake Forest. The City condemned just over 13 acres for a new sports park. The City valued just compensation for the expert exchange at $6.6 million. Mr. Murphy settled the case two weeks before trial for $15.4 million. Represented the landowner of a multi-tenant business park consisting building consisting of eight buildings and 70 suites in an inverse condemnation action against Caltrans. The landowner claimed that as a result of Caltrans’ unreasonable pre-condemnation conduct and unreasonable delay, it lost tenants and potential tenants, could not sell the property, and lost rent. Caltrans denied any wrongdoing. Mr. Murphy earned an award at $38 million, and also an award of lost rent. Represented the landowner of a 28.6-acre multi-tenant property in an eminent domain action brought by the San Francisco Bay Area Transit District. BART condemned the entire property for the Hayward Maintenance Complex Project. BART initially offered PPF Industrial $34,000,000. Mr. Murphy earned its client an award of $42,750,000. Riverside County Transportation Commission v. Giant Inland Empire RV Center Inc., et al. Represented the owners of an RV dealership located at 2100 – 2200 Frontage Road and 1307 Pomona Road in Corona along the 91 Freeway. RCTC sought to acquire the property for the State Route 91 widening project. Giant RV sought approximately $4.2 million for its lost business goodwill and real estate interests. Mr. Murphy won an award of $3.9 million. People of the State of California by and through the Department of Transportation v. Plaza Covina et al. Represented the landowner in an eminent domain action brought by Caltrans. Plaza West Covina owns a freeway-prominent 11,258 square-foot retail pad in the City of West Covina. Caltrans sought a full-take of the property for its I-10 high-occupancy vehicle lane project. Caltrans’ initial offer was $3,136,000. Mr. Murphy won an award of $7.8 million, plus costs. Represented the landowner in an eminent domain action brought by the Riverside County Transportation Commission. The Ostlund Family owned a parcel totaling 20,909 square feet and improved with a commercial/industrial building. RCTC’s initial offer to the Ostlund Family was $1,117,000. The case settled before trial. Mr. Murphy won an award for the Ostlund Family of $2.1 million. Riverside County Transportation Commission v. Charlie R. Webb, Rosina G. Webb, et al. Represented the landowner in the City of Corona. The Webb Family operated Unique Designs, a successful outdoor patio and landscape art and furniture business for over 21 years. RCTC sought to condemn a portion of the property for its SR-91 widening project. RCTC valued the property at $886,000 and valued the lost goodwill at $84,000 for a total of $970,000. Mr. Murphy won an award of $1,796,318. Riverside County Transportation Commission v. 2410 Wardlow Property, LLC, et al. Represented the landowner of a 4.73 acre parcel improved with eleven freeway-frontage retail and showroom suites. The property also enjoyed a 40-foot tall pylon sign with double-faced digital marquee, which provided freeway-visible advertising space for the property and its tenants. RCTC sought to condemn portions of the property for its SR-91 widening project. RCTC initially offered $1,111,000. Mr. Murphy won an award of $4.7 million. Represented the landowner of a 17-acre industrial park in an eminent domain action brought by the City of Santa Fe Springs for a grade separation project. The condemning agency initially deposited $516,000. Mr. Murphy won an award of $2,750,000. Represented the Arrowhead Central credit Union in an eminent domain action brought by the San Bernardino County Transportation Commission. SBCTC sought to condemn a portion of the property for the construction of the Downtown San Bernardino Passenger Rail Project. SBCTC valued total compensation to Arrowhead at $1,184,811. Mr. Murphy ultimately won an award of $2,070,000. Represented the Lakeview Orchard Association and its members in an eminent domain action brought by the Orange County Transportation Authority. OCTA sought to acquire a 2,951-square-foot permanent easement and a 48-month, 11,984-square-foot temporary construction easement. OCTA initially offered $743,000 for the taking of two easements and severance damages. The case settled before trial for $1,975,000 in compensation for the takings, and damages. City of Santa Ana v. Hinojosa, et al. Represented the property owner in an eminent domain action brought by the City of Santa Ana. The City acquired the property for its Grand Avenue Widening Project. The City initially offered $530,000. Mr. Murphy ultimately won an award of $1,115,000. City of Santa Ana v. 7 Days Tire, et al. Represented 7 Days Tire in an eminent domain action brought by the City of Santa Ana for its Grand Avenue Widening Project. The City initially offered nothing for the lost business goodwill. Mr. Murphy ultimately won an award for 7 Days Tire of over $313,000. Caltrans v. Javad N. Sani, M.D., & Parvin Nahvi, M.D. Represented owners of three ocean- and pastoral-view parcels totaling 13.47 acres off Highway 1 in San Simeon. Caltrans sought to condemn portions of two of the three parcels for its State Route 1 Realignment Project. Caltrans initially offered $1,073,800. It later valued total compensation for the part takes at $4,000,200. Mr. Murphy ultimately won a $6,400,000 award for full takes of two of the parcels. Represented the Etchandy Family – – owner of a multi-tenant commercial/retail property at the southeast corner of East La Palma Avenue and North Tustin Avenue – – in an eminent domain action brought by the City of Anaheim. The City sought to condemn a portion of the property for the Tustin/La Palma Avenue Roadway Improvement Project. The City first offered $989,210, and later valued the total compensation for the part take at $729,126, and an additional $386,00 of temporary severance damages. Mr. Murphy won an award of $2.2 million as just compensation for the partial takings. Represented the owner of a large historic citrus grove. The Water District initially offered $1.8 million. Mr. Murphy ultimately won a settlement of $6 million for his clients. Fresno Unified School District v. International Church of the Foursquare Gospel, et al. Represented a local Fresno congregation, and its Pastor against the District. The District condemned the church’s property for a new elementary school. The District initially offered $410,000. Mr. Murphy won an award of $1,350,000. Budget Inn (Santa Fe Springs) adv. Caltrans. Represented the owner of a 105 room budget motel. Caltrans’ initial offer for a part take was $84,000. Mr. Murphy won a settlement of $4.6 million for his clients. Represented the owners of a large, 210,271 square foot business park with 62 tenants in Santa Fe Springs on the Interstate 5 freeway. After establishing the necessity for a full take, Mr. Murphy negotiated a $25.5 million sales price, while preserving the client’s ability to seek substantial additional precondemnation damages and reimbursement of environmental remediation offsets. Represented developers of a 48-lot oceanfront parcel in an action against the City of Seal Beach. The City offered $48,400 for some beach access. Mr. Murphy obtained a settlement worth up to $2 million, plus the City’s cooperation in further entitlements. Represented industrial real estate owner in Santa Fe Springs. Caltrans sought condemnation for Interstate 5 widening. The initial offer was $3 million. After establishing the necessity for a full take, Mr. Murphy negotiated a $9 million sales price, while preserving the client’s ability to seek additional precondemnation damages and reimbursement of environmental remediation offsets. People of the State of California, by and through the Department of Transportation v. Altmans, et al. Represented the owner of an RV dealership on Interstate 10 freeway at Baldwin Avenue. The condemning agency, Caltrans, initially offered $958,000. Mr. Murphy settled the case one week before the jury trial was to begin for total compensation of $7.85 million for his client. City of La Puente Redevelopment Agency v. Gudzunas, et al. Represented of the owner of a three acre retail shopping mall developed in the 1950s. The condemning agency, the City of La Puente Redevelopment Agency, initially offered $3.55 million. Mr. Murphy negotiated a lost rent agreement which insulated our client from any loss of income during the litigation. Mr. Murphy won an award on the eve of jury trial for total compensation of $6.2 million to his client. Represented landowner Canyon Springs LLC. Caltrans offered $1.1 million for 3.79 acres of land near the I-215/State Route 60 interchange. Mr. Murphy won an award of $3.8 million. Represented a non-profit church for the disabled. Won a $ 4.6 million settlement, just one week before a scheduled three week jury trial for the defendant congregation and denomination. Caltrans had previously offered no more than $ 1.6 million and had planned to argue at trial for a $ 770,000 value. The final award ($4.6 million) amounts to well more than five times this figure. Represented JAKS, LLC, a shopping center developer, in a condemnation matter over a 10-acre parcel of land located along the I-10 expressway in San Bernardino. The Agency condemned the property in order to convey it to another developer who built a Sam’s Club. The Agency argued the property was worth only $1.7 million due to access issues. Mr. Murphy won an award one week before trial for $3.45 million. Paramount Unified School District v. DiPinto, et al. Represented a manufacturer (Trams International) of specialty vehicles against condemning school district, and also landlord. The District made no pre-litigation offer at all to Trams International. After several weeks of trial, client won $685,000 from the District, and an additional $280,000 from its landlord. Paramount Unified School District v. McLane Manufacturing, Inc., et al. Represented manufacturer, the largest employer in the City of Paramount, in a condemnation matter. Mr. Murphy won an award of $5.58 million, more than twice the school district’s original $2.2 million offer. Santa Ana Unified School District v. Bouchier et al. Represented the Bouchier family in connection with the taking of an 8.3 acre parcel of land in central Santa Ana, the future site of an elementary school. The case settled for $6.2 million, $700,000 more than the District’s offer. Las Galinas Valley Sanitation District v. Silveira, et al. Represented a long-time Marin County dairy rancher in a complex condemnation jury trial. The condemning agency’s pre-litigation offer was $650,000. The jury verdict amounted to $14,660,000, which was the largest condemnation verdict in the state for 2000, and one of the largest verdicts of any kind in Marin County. Client also won a substantial litigation expense award. People of the State of California, by and through the Department of Transportation v. B.H. & B.M. Woodson Family Trust, et al. Represented a landowner in a three week condemnation jury trial. The Agency’s pre-litigation offer was $1.1 million. The jury’s verdict was for $1.9 million. Attorneys fees were also awarded. Represented Mobil Oil and Armstrong Petroleum in a condemnation case where the public agency, the Army Corp of Engineers, initially offered $645,000. Mr. Murphy obtained, on the first day of the jury trial, $4.2 million for his clients. Represented land and business owners in four week condemnation jury trial. The Agency’s pre-litigation offer was $636,000. The verdict and attorneys’ fees award totaled $1.6 million. Represented the business owner facing condemnation. The public agency, Caltrans, offered nothing. Mr. Murphy obtained $1.2 million for his client. People of the State of California, by and through the Department of Transportation v. International Church of the Foursquare Gospel, et al. Represented the congregation of the oldest church in Orange County in a complex, multi-phase condemnation jury trial. The Agency’s pre-litigation offer was $726,000. Mr. Murphy won a verdict and award of litigation expenses totaling $1.9 million. People of the State of California, by and through the Department of Transportation v. Russell F. Rohrs, et al. Represented a ground lessee in a condemnation trial. The Agency’s pre-litigation offer was $600,000. The final judgment, after a multi-phase proceeding, totaled $1.2 million. People of the State of California, by and through the Department of Transportation v. Rancho Santiago Partnership, et al. Represented the landowner facing condemnation. The public agency, Caltrans, initially offered $40,000. Mr. Murphy won a settlement of $460,000. Represented the County of Orange in an inverse condemnation action brought by a large residential developer seeking up to $60 million in compensation. Our demurrer was sustained without leave to amend. Plaintiff subsequently dismissed its appeal. The County paid nothing. Represented Orange County Flood Control District in the acquisition of a large, operating dairy. The acquisition price – – over $30 million – – was less than the initial agency appraisal. Foothill/Eastern Transportation Corridor Agency v. Griswold, et al. Represented the condemning public agency. After nearly one month of trial, the court adopted our arguments that no substantial interference with access occurred. The case settled soon thereafter. Alameda Corridor Transportation Authority v. Calmat Company, et al. Represented the condemning public agency in a case where opponent sought close to $5 million for loss of business goodwill. Settled case for $2.5 million 1 week before trial. Alameda Corridor Transportation Authority v. Fulofweal, Inc. Represented the condemning public agency in a case involving a substantial loss of business goodwill claim. The case settled the morning of trial for a fraction of the claim. Represented the condemning public agency in this two week condemnation trial. Won key motions to exclude testimony. The case settled for the amount of the agency’s initial offer. Represented the condemning public agency. Settled a six figure claim for lost business goodwill for $25,000 after expert depositions, two weeks before trial. Represented the condemning public agency. Settled claim based on a valuation claiming a future change of use. Represented the condemning public agency. Settled $3 million claim based on lost inventory, goodwill and real estate for less than $1.2 million. Represented the condemning agency. Won a two week “entitlement phase” trial and defeated a goodwill loss claim of over $1 million. Successfully handled the real property claim. San Joaquin Hills Transportation Corridor Agency v. Charles R. Williams and Dorothy M. Williams, et al. Represented the condemning agency in this condemnation trial. Succeeded in convincing the landowner’s attorney to submit to binding arbitration and then prevailed at arbitration. Speaker, “Eminent Domain 101: Basics of Eminent Domain for the General Practitioner,” California Lawyers Association Annual Meeting, San Diego, (Sept. 15, 2018). Speaker, “Civil and Traffic Engineers: How We Can Be the Key to Unlock Your Case,” 19th Annual CLE International Eminent Domain Conference, San Diego, CA (February 2017). Speaker, “Working With Witnesses In Eminent Domain,” American Law Institute – Continuing Legal Education (ALI-CLE) National Eminent Domain and Land Valuation Conference, San Diego, CA (January, 2017). Speaker, “Eminent Domain 101,” County of Riverside, Riverside, CA (May, 2016). Speaker, “What’s Wrong With The Law of Valuation in Eminent Domain? : Four Rules We Need To Change Now,” 32nd ALI-CLE National Conference on Eminent Domain and Land Valuation Litigation, San Francisco, CA (February, 2015). Speaker, “You Can’t Whistle a Symphony: A Partnered Approach to Jury Selection in Eminent Domain,” CLE International Eminent Domain Conference, San Francisco, CA (October, 2014). Speaker, “Eminent Domain Update: Developments in Eminent Domain Law Across the Country: 2013-2014,” IRWA Annual International Education Conference, Hartford, Connecticut (June, 2014). Speaker, “Full-Take/Part-Take? The Need for New Rules,” CLE International Eminent Domain Conference, Los Angeles, CA (May, 2014). Speaker, “Eminent Domain Update: Developments in Eminent Domain Law Across the Country: 2012-2013,” IRWA Annual International Education Conference, Charleston, West Virginia (June, 2013). Speaker, “Eminent Domain Update: Developments in Eminent Domain Law Across The Country: 2011-2012,” IRWA Chapter 57, Riverside, CA (September, 2012). Speaker, “Eminent Domain Update: Developments in Eminent Domain Law Across The Country: 2011-2012,” IRWA Annual International Education Conference, Seattle, Washington (June, 2012). Speaker, “Should We Make a Federal Case Out of It? Navigating Eminent Domain in Federal Court,” CLE International, Garden Grove, CA (April, 2012). Speaker, “What’s So Good About Business Goodwill?,” 29th ALI-ABA National Conference on Eminent Domain and Land Valuation Litigation, San Diego, CA (January 26-28, 2012). Speaker, “Eminent Domain For Economic Development: Is It Dead In California? If So, What Killed It?,” 29th ALI-ABA National Conference on Eminent Domain and Land Valuation Litigation, San Diego, CA (January 26-28, 2012). Speaker, “Luck and The Right Buttons: A Practical Approach To Voir Dire In Eminent Domain,” CLE International, San Francisco, CA (November 4, 2011). Speaker, “Surplus Property Disposition: How to Win the Game for Your Agency . . . And Stay Out of Jail,” 2011 IRWA Annual International Education Conference, Atlanta, Georgia (June, 2011). Speaker, “Square Pegs, Round Holes and Easy Targets: Valuation of Special Purpose, Non-Profit Properties in Eminent Domain,” Appraisal Institute Spring Litigation Conference, Woodside, CA (May 26, 2011). Co-chairperson and Moderator, CLE International Eminent Domain Conference, “Pre-Condemnation Practice: How To Avoid Early Mistakes; Special Strategies For Multiple Parcels,” San Diego (May 12, 2011). Speaker, “Except from a Vending Machine: Recent Developments in Eminent Domain Law,” 2010 IRWA Annual International Education Conference, Calgary, Canada (June, 2010). Co-chairperson and Moderator, 12th Annual CLE International Conference on Eminent Domain, “Grand Masters of the Eminent Domain Trial;” Los Angeles (May, 2010). Speaker, “Pulling Apart the Biscuit and Putting it Back Together: Cross-Examination of the Appraisal Witness,” 12th Annual CLE International Conference on Eminent Domain, Los Angeles (May, 2010). Speaker, “Pulling Apart the Biscuit and Putting it Back Together: Cross-Examination of the Eminent Domain Appraisal Expert,” CLE International, San Francisco (November 16, 2009). Co-Presenter with Justice Edward J. Wallin, “The Real Deal: Negotiating and Drafting Settlement Agreements That Make Sense And Protect Your Client,” OCBA Young Lawyers Division, Santa Ana (May 21, 2009). Co-Chairperson and Speaker, “Ethics – Where are the Boundaries? From Conflicts of Interest to Aggressive Advocacy,” CLE International 11th Annual Conference, Los Angeles (April 23, 2009). Speaker, “Square Pegs, Round Holes and Easy Targets: Valuation of Special Purpose, Non-Profit Properties in Eminent Domain,” IRWA, Chapter 1, Annual Valuation Conference, Montebello, CA (April 21, 2009). Speaker, “Getting the Story Told: Six Ideas on Engaging Jurors During Direct Examination of the Appraisal Witness,” CLE International, Austin TX (January 22, 2009). Speaker, “Eminent Domain Law: How Does Texas Law Measure Up? Lessons to Be Learned from a Comparison of the Texas System with Procedural and Substantive Eminent Domain Law in Other Jurisdictions” Panel Discussion, CLE International, Austin TX (January 22, 2009). Speaker, “Square Pegs, Round Holes and Easy Targets: Valuation of Special Purpose, Non-Profit Properties in Eminent Domain,” ALI-ABA, Miami, FL (January 8-9, 2009). Speaker, “Opening Statements and Closing Arguments: Setting the Stage and Closing the Deal,” CLE International, San Francisco, CA (December 8-9, 2008). Speaker, “Say Ya Wanna Revolution: A 3rd Anniversary Survey of the States’ Reaction to Kelo,” IRWA 2008 Annual International Education Conference, Austin, Texas (June 22-25, 2008). Speaker, “Don’t Think Twice: Propositions 98, 99 and the Future of Eminent Domain Reform,” California Counties Real Estate Group, Orange, CA (May 23, 2008). Speaker, “Don’t Need a Weatherman to Know Which Way the Wind Blows: Effective Cross-Examination of the Appraisal Witness,” CLE International National Eminent Domain Conference, Orlando, Florida (May 5-6, 2008). Co-chairperson, “Case Law, Legislation, Valuation and More,” 10th Annual CLE International Eminent Domain Conference, Los Angeles, CA (May 1-2, 2008). Speaker, “Watching Your Es and Os: Does Professional Liability Insurance Make Sense in Eminent Domain,” IRWA Spring Valuation Seminar, Los Angeles, CA (April 22, 2008). Speaker, “Is Eminent Domain Dead? : How and When Private Developers Can Still Use Eminent Domain Effectively,” CLE International Mixed Use Development Seminar, Los Angeles, CA (January 10-11, 2008). Speaker, “Getting the Story Told: Six Ideas on How to Engage Jurors During Direct Examination,” CLE International, San Francisco, CA (December 6-7, 2007). Speaker, “The Times They Are A’ Changing: The Future of Eminent Domain Reform in California,” IRWA Chapter 1 Annual Valuation Seminar, Los Angeles, CA (April 24, 2007). Speaker, “Big Hat – No Cows: The Future of Eminent Domain Reform in California,” 65th Annual California Water Association Conference, San Francisco, CA (November 16, 2006). Speaker, “Does Anybody Really Know What Time It Is? Deposits and Dates of Value in a Post-Kelo World,” Appraisal Institute Litigation Seminar, Los Angeles, CA (November 9, 2006). Speaker, “Burning Down the House to Roast the Pig: Incremental Change vs. Radical Reform in Eminent Domain,” Chapman University Symposium on Eminent Domain, Orange, CA (October 20, 2006). Speaker, “A Hard Rain’s Gonna (Maybe) Fall: How the Anderson Initiative Could Radically Change Land Use Planning and Infill Development in California,” University of California, Irvine Real Estate Breakfast, Irvine, CA (October 10, 2006). Speaker, “A Hard Rain’s Gonna (Maybe) Fall: How the Anderson Initiative (Prop. 90) Could Radically Change Public Acquisitions,” Appraisal Institute, Southern California Chapter Luncheon Meeting, Ventura, CA (October 6, 2006). Speaker, “A Hard Rain’s Gonna (Maybe) Fall: How the Anderson Initiative (Prop. 90) Could Radically Change Public Acquisitions,” International Right of Way Association Chapter 67 chapter meeting, Santa Ana, CA (September 13, 2006). Speaker, “Strategies for Effectively Settling the Eminent Domain Action,” National Business Institute’s Eminent Domain Legal Update Conference, San Francisco, CA (September 7, 2006). Speaker, “Does Anybody Really Know What Time It Is? Deposits and Dates of Value in a Post-Kelo World,” Los Angeles County Bar Association Eminent Domain Section Lunch, Los Angeles, CA (May 16, 2006). Speaker, “Action, Reaction, Overreaction?” – The Kelo Fallout and The Legislative Responses,” County Counsels’ Association of California Civil Law and Litigation’s 2006 Annual Conference, Monterey, CA (April 27, 2006). Speaker, “The Dabbler’s Downfall: What the Neo-Practitioner Needs To Know about Unique Rules and Standards in Eminent Domain Proceedings,” ALI-ABA’s 23rd Annual Eminent Domain and Land Valuation Litigation Conference, San Diego, CA (January 6, 2006). Speaker, “Coordination of Right of Way Professionals in Large Public Projects,” International Right of Way Association, Chapter 1 Annual Valuation Conference, Los Angeles, CA (April 26, 2005). Speaker, “A Tale of Two Approaches: The Cost of Environmental Remediation in Eminent Domain,” CLE International Eminent Domain Conference, Scottsdale, AZ (April 11, 2005). Speaker, “The Dabbler’s Downfall: What Dabblers Don’t Know About Trial Tactics Unique to Eminent Domain,” 7th Annual CLE International Eminent Domain Conference, San Francisco, CA (October 28, 2004). Speaker, “Why Judges and Jurors Don’t Trust Appraisers and What Right of Way Professionals Can Do About It,” International Right of Way, Chapter 67 (October 12, 2004). Speaker, “The Hidden Traps: Witness Skills in Dealing with a Tough Judge or Opposing Counsel,” The 36th Annual Litigation Seminar of the Appraisal Institute (Southern California Chapter) (November 21, 2003). Speaker, “Orange County’s Transportation Infrastructure: A Looming Crisis?” Orange County Bar Association – Real Estate Section (January 22, 2003). Moderator, “Big Myths of Public Acquisitions,” International Right of Way Association, Orange County, 2001 Litigation Seminar (June 2001). Speaker, “Part Takes and Part Cures: How Judges and Lawyers Have Stirred the Pot in 2000,” International Right of Way Association, Los Angeles, Spring Litigation Forum (April 2001). Co-Instructor, Appraisal Institute Course 700, “Expert Witnesses” (May 2000). Speaker, “Your Appraiser vs. the Judge: When Appraisers and the Law Clash,” 1999 International Right of Way Association Regional Spring Forum (April 1999). Instructor, “Business Goodwill and the Real Estate Appraiser,” 31st Annual Litigation Seminar, Appraisal Institute – Southern California Chapter (November 20, 1998). Speaker, “Proactive Approaches to Managing Litigation,” 40th Annual PCBC Western Building Show (June 24-27, 1998). Instructor, “Bonus Value and Automatic Lease Termination by Eminent Domain,” 29th Annual Litigation Seminar, Appraisal Institute – Southern California Chapter (November 15, 1996). Speaker, “Eminent Domain and Pre-Condemnation Planning: How to Protect Your Clients Before Condemnation Occurs,” Orange County Bar Association Real Estate Section (April 23, 1996). Instructor, “Expert Witness Preparation,” Fourth Annual Valuation Conference, International Right of Way Association – Chapter 1 in Los Angeles (March 28, 1996). Co-Author, “Eminent Domain & Inverse Condemnation: 2017 in Review,” 36 Cal. Real Prop. J. 2 (2018). Co-Author, “Lewis Carroll, Humpty Dumpty and So-Called Final Offers,” Daily Journal (June 2015). Co-Author, “Litigators on Experts, Strategies for Managing Expert Witnesses from Rentention through Trial,” (American Bar Association Litigation Section, ABA Publishing, 2010), Experts in Condemnation Cases. Co-Author, “Square Pegs, Round Holes, Easy Targets: Valuing Special-Use Property In Eminent Domain,” The Appraisal Journal (August, 2010). Co-Author, “Southern California Edison Strictly Liable for Property Damage,” Los Angeles Daily Journal, September 17, 2012. Co-Author, “Ground Lease Practice,” (Cont. Ed. Bar 2d ed. 2009) Condemnation. Co-Author, “Should Jurors Hear the Whole Story? Two Opinions Force a Look at the Role of Juries in Condemnation Trials,” California Real Estate Journal (February 18, 2003). Author, “Appraisers as Expert Witnesses: What Makes Them So Special?” Right of Way – Journal of the International Right of Way Association (Mar/Apr 2001). Co-Author, “Eminent Domain Reform Arrives in California Ahead of Election Day,” California Real Estate Journal (October 23, 2006). Co-Author, “Anderson Initiative (Prop. 90) Could Radically Impact California Eminent Domain Law,” Coastal Post (October 2006). Co-Author, “Exploring the Eminent Anderson Initiative,” Real Estate Southern California (September 2006). Co-Author, “Low-Profile Anderson Initiative Would Change Eminent Domain and Land-Use Planning Radically,” California Real Estate Journal, (July 31, 2006). Co-Author, “Anderson Initiative Goes to Extraordinary Lengths to Limit Eminent Domain,” Daily Journal (July 25, 2006). Author, Program Materials for “The Hidden Traps – Witness Skills in Dealing with a Tough Judge or Opposing Counsel,” The 36th Annual Litigation Seminar of the Appraisal Institute (Southern California Chapter) (November 21, 2003). Co-Author, “The Pain of Eminent Domain,” BUILDERnews (January 2007). Co-Author, “Sacramento Area Flood Control Agency v. Dhaliwal: The Symmetry of the “Any Factor” Rule,” Murphy & Evertz E-Alert (June 2015). Co-Author, “People ex rel. Dept. of Transp. v. Dry Canyon Enterprises, LLC: Bob Dylan and Business Goodwill,” Murphy & Evertz E-Alert (January 2013). Co-Author, “Superior Coatings Inc., v. Los Angeles Unified School District: Much Ado About Nothing,” Murphy & Evertz E-Alert (September 2012). Co-Author, “Pacific Bell Telephone Company v. Southern California Edison: Spiderman And Inverse Condemnation,” Murphy & Evertz E-Alert (September, 2012). Co-Author, “City of Corona v. Liston Brick Co. of Corona: Keep Your Incompetent Evidence Out Of the Courtroom!,” Murphy & Evertz E-Alert (August, 2012). Co-Author, “City of Livermore v. Baca, Groucho Marx and Severance Damages,” Murphy & Evertz E-Alert (June, 2012). Co-Author, “Can Having A Plan Qualify As Bad Planning? Public Agency Proves It Lacks a “Plan” and Dodges Precondemnation Damages Liability, Despite Its Acquisition Program,” Murphy & Evertz E-Alert (April, 2011). Co-Author, “Is That Your Final Offer? Agencies Beware A Final Offer Amounting To Less Than 60% Of The Compensation Awarded,” Murphy & Evertz E-Alert (December 3, 2010). Co-Author, “Inverse Condemnation: Does a Buyer’s Prior Knowledge Mean No Recovery?,” Murphy & Evertz E-Alert (May 14, 2010). “Ready . . . Fire . . . Aim! : California Appeals Court Rejects Vague and Overbroad Resolutions of Necessity” â Luce Forward Legal e-Update (February 20, 2009). “California Appeals Court Holds City Liable for ‘Temporary’ Development Ban,” Luce Forward Legal e-Update (October 8, 2008). “Proper Dates of Value in Eminent Domain: The Waters Get Less Muddy – California Supreme Court Orders RV Communities Depublished,” Luce Forward Eminent Domain and Condemnation E-Update (March 21, 2008). “Temporary Severance Damages Only to Compensate for Actual Damages,” Luce Forward Eminent Domain and Condemnation E-Update (March 7, 2008). “County’s Alleged Breach of Contract Does Not Equal Condemnation,” Luce Forward Eminent Domain and Condemnation E-Update (February 25, 2008). “Eminent Domain Settlement May Be State’s Largest This Year” by Katie Lucia, Daily Journal (September 9, 2013). Murphy & Evertz LLP Profiled, “The Hyper-Specialists,” Daily Journal (October 8, 2010). San Francisco Bay Area Rapid Transit District v. PPF Industrial, et al., Verdicts & Settlements, Daily Journal (July 2, 2015). Riverside County Transportation Commission v. Ostlund, et al, Verdicts & Settlements, Daily Journal (July 2, 2015). Riverside County Transportation Commission v. Webb, et al., Verdicts & Settlements, Daily Journal (June 26, 2015). City of Anaheim v. Etchandy, et al., Verdicts & Settlements, Daily Journal (November 14, 2014). Orange County Transportation Authority v. Lakeview Orchard Association, Verdicts & Settlements, Daily Journal (October 31, 2014). City of Santa Ana v. Hinojosa, et al., Verdicts & Settlements, Daily Journal (October 31, 2014). San Bernardino County Transportation Commission v. Arrowhead Central Credit Union, Verdicts & Settlements, Daily Journal (October 31, 2014). 3187 Redhill LLC v. The People of the State of California, acting by and through the Department of Transportation, Verdicts & Settlements, Daily Journal (August 22, 2014). The People of the State of California, acting by and through the Department of Transportation v. Sani, Verdicts & Settlements, Daily Journal (August 22, 2014). Attorney Profiled, “Prop. 98 Doomed by Rent Control Provisions, Experts Say” by Peter B. Matuszak, Daily Journal (June 2, 2008). San Bernardino County Municipal Water District v. Mentone Citrus Growers, Verdicts & Settlements, Daily Journal (December 2012). People of the State of California, acting by and through the Department of Transportation v. Westminster Lodging, Inc., Verdicts & Settlements, Daily Journal (September 14, 2012). City of Santa Ana v. Gallegos Brothers, LLC, Verdicts & Settlements, Daily Journal (November 21, 2014). People of the State of California, and by and through the Department of Transportation v. Plaza West Covina et al., Verdicts & Settlements, Daily Journal (January 8, 2016). Riverside County Transportation Commission v. Giant Inland Empire RV Center Inc. et al., Verdicts & Settlements, Daily Journal (June 24, 2016). Riverside County Transportation Commission v. Diversified Products International, Inc., Verdicts & Settlements, Daily Journal (May 13, 2016). People of the State of California, acting by and through the Department of Transportation v. Jane Gale-Hubbard, Verdicts & Settlements, Daily Journal November 2, 2012). Riverside County Transportation Commission v. Maude-Corona LLC et al., Verdicts & Settlements, Daily Journal (August 5, 2016).